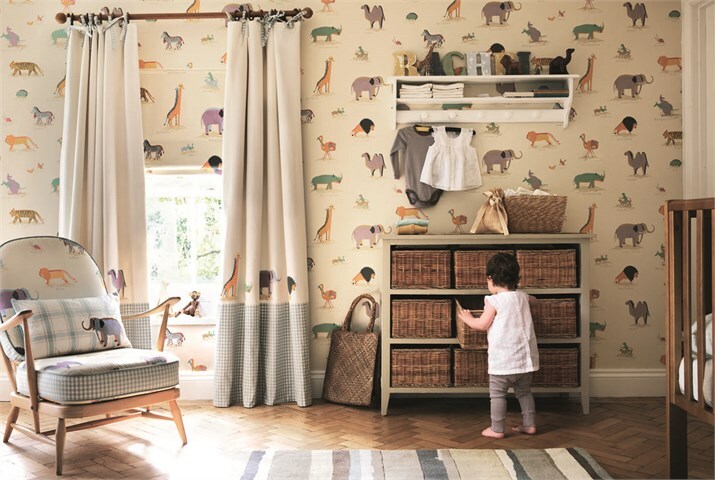 Here at Home Decor Hull Limited we work with interior designers and CE approved manufactures and suppliers of wallpapers, fabrics, paints and supplies. Home Decor Hull Limited is a family run business in Hull. We provide that personal touch and often assist customers to help them find what they're looking for as we understand how stressful it can be looking through thousands of wallpapers. 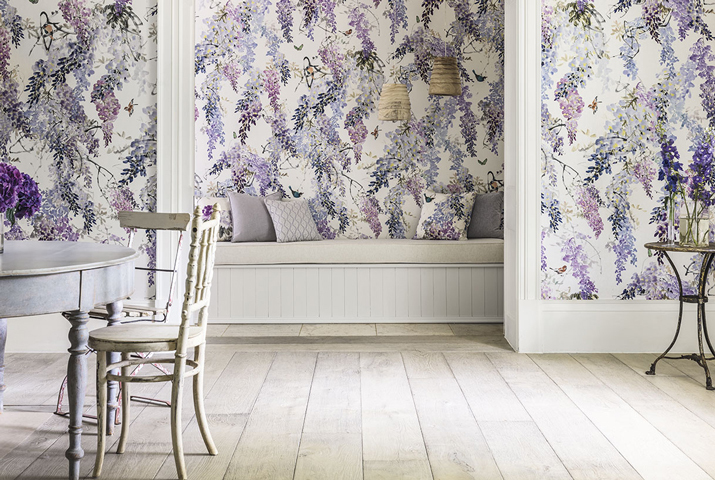 At Home Décor we have a few favourite wallpaper ranges and styles, first and foremost is a designer John Wilman. The washable and stylist designs look and feel great, making them our first choice for style and quality. If you’re looking for something different, KT-Exclusive is just that – EXCLUSIVE! Another of our designer range in store boasting bold stylised florals, classic English chintzes, plain textures, smart stripes, trellises and small scale motifs which are printed in the UK. Sanderson’s newest collection ‘Waterperry’ recently arrived in store causing some fabulous feedback. 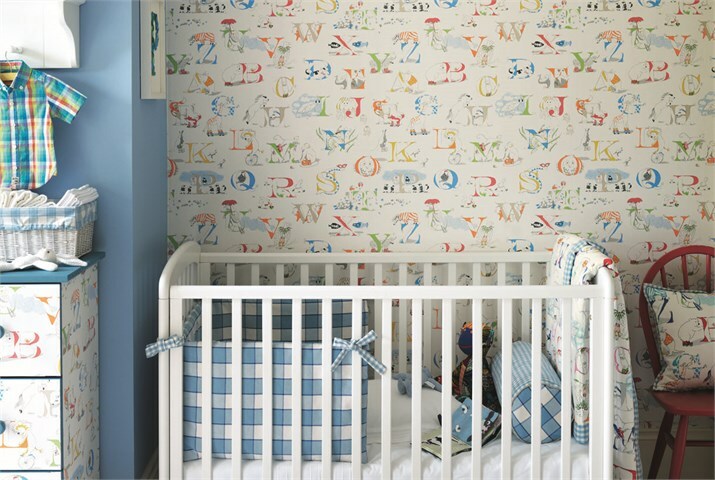 Sanderson childrens wallpapers and fabrics 'Abracazoo' is range that a lot of designers seem to lack. On this front Sanderson’s are by far our leader, the designs and range from Sanderson’s are second to none with designs from Princesses, Animals, Castles and Alphabets to Pirates & Maps, there really is something everyone loves! Sanderson also provide fabrics and paints to match the wallpapers from each of these wallpaper designs. 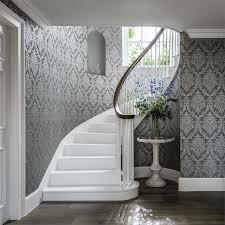 Our designer Sanderson’s also provide fabric and accessories to match the wallpaper designs above. This is great news for those of you wanting to match wallpaper to curtains/cushions and other accessories in their rooms. You can purchase the fabric to the size you need, ready to put this onto cushions, sofas, curtains or other items. This can have stunning effects in any room and is great for those of you into your interior design. If you’re looking for something to contrast with your wall covering, opt for seasonal fabric trends such as florals, prints and natural hues. Curtains.com have a fab range of made to measure curtains to compliment your interior. One of the big differences between our store and others is the personal touch and assistance you'll get in store. We can't be matched on service. When looking for wallpaper its sometimes easy to get caught up in a certain idea or style when sometimes its best to search with an open mind and visualise your room complete which can be difficult with a single sample of wallpaper which is why getting the advise of friends or family to help is always a great idea. Want some inspiration? Check over on our Facebook page www.facebook.com/homedecorltd15 we always have new and exciting designs coming through from designers and companies around the world.